Our retail shop stocks a choice electrical appliances that we can supply and install hassle free. As approved electrical contractors we carry out work in all aspects, farms, houses, schools, churches, village halls, nursing homes etc. 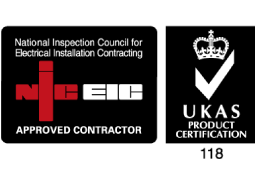 Electricians registered by NICEIC are assessed on a regular basis to ensure that they are competent and capable of meeting the relevant technical and safety standards, codes of practice and rules of the Schemes they are registered to. Compliance with building regulations. 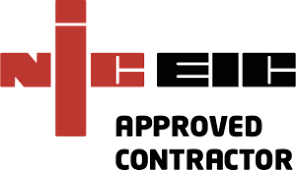 Contractors registered to NICEIC building Regulations Schemes in England and Wales are authorised to self-certify their work to the Local Building Control Body. This saves you both time and money when undertaking work that requires notification under the Building Regulations.